CBSE introduces a stringent clause in its bylaws warning of serious consequences for objectionable content in textbooks. New Delhi: The Central Board of Secondary Education (CBSE) has inserted a stringent clause into its bylaws, which warns schools of serious consequences — including them losing affiliation — if they select textbooks that contain ‘objectionable content’. The clause has been included in the CBSE’s recently updated Affiliation Bye-laws, which makes it mandatory for schools to follow the rule. The move comes after several reports of objectionable and controversial content despite the board having sent circulars to schools, urging them to be more careful in selecting textbooks from private publishers. The Affiliation Bye-laws are rules that all schools affiliated to the CBSE are bound by. Any deviation from the rules could invite serious consequences, which begin with the CBSE sending a showcause notice to the offending school and eventually disaffiliating it. A senior official in the board said the clause has been added in the bylaws on the basis of public feedback and the grievances of parents. 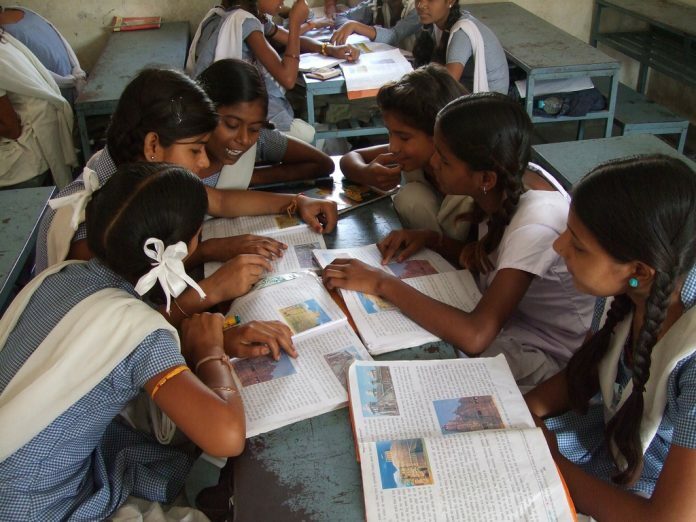 “A school may prescribe NCERT textbooks in classes and subjects in which these books have been published by NCERT. Extreme care should be taken in the selection of books of private publishers so that there is no objectionable content that hurts the feelings of any class, community, gender or religious group in the society,” the revised byelaws read. It adds that the school shall put up a list of prescribed books on its website. “If a school is found prescribing a book having any objectionable content, the responsibility of such content shall lie with the school and action will be taken against the school by the Board,” it adds. Schools affiliated to the CBSE have got into trouble in the past over objectionable content in textbooks they’ve selected. There was an uproar in 2017 when it was found that a Delhi school had picked an environmental science textbook for Class 4 students that relied on a cat-killing experiment to demonstrate the significance of oxygen. The book, by a private publisher, illustrated the importance of oxygen by showing two separate boxes with cats in each of them. The cat in the box with holes is shown to survive, while the closed box shows a dead cat. The CBSE had then clarified that it had no association with the textbook, and had also asked schools to be careful in choosing books. In the same year, a textbook on physical education for Class 12 students sparked a controversy after it stated that the ideal shape of a woman was 36-24-36 inches. HRD Minister Prakash Javadekar clarified that the book had no association with CBSE. He had then urged all schools to stick to only NCERT books. Recently, an essay on the ‘modern girl’ in a book called Current Schools and Essays, meant for CBSE and ICSE students, was slammed for its content. The ‘modern girl’, according to the essay, “is too selfish to think about others and cares only about clothes and cosmetics”. “She is more a self-centred creature than a loving daughter or sympathetic sister,” the essay says. “She is eager to enjoy life fully and so she does not want to miss any party, cinema show, concert, fashion parades and such outdoor activities. She talks and makes friendship with boys freely and easily”.